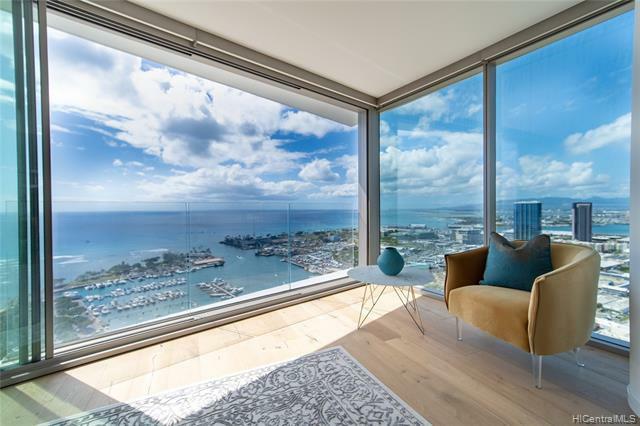 Beautifully furnished three bedroom, three bath home in Aeo, one of Ward Village's newest and award-winning luxury condos in Kakaako. 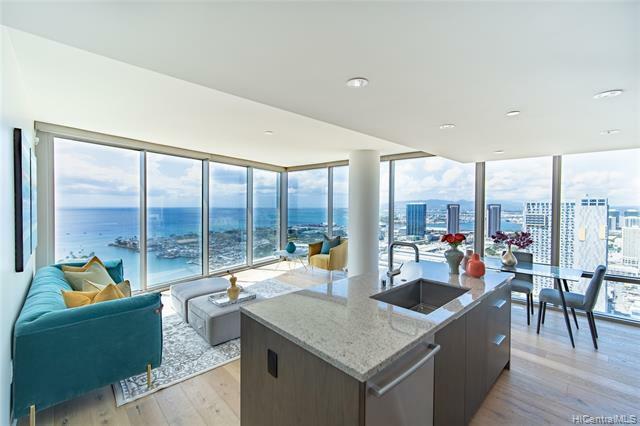 Unit features open concept floor plan, expansive 1,329 sq. 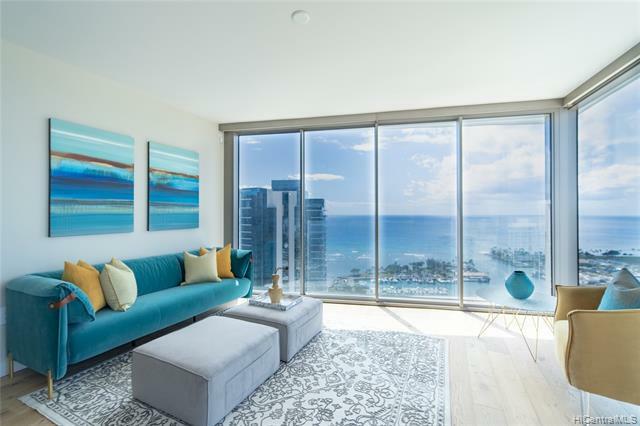 ft. of living space and floor-to-ceiling windows with direct ocean and sunset views. 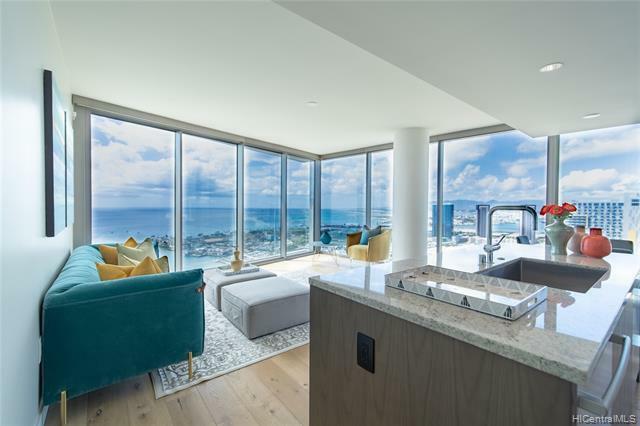 Luxurious upgrades include wood floors throughout, Toto Neorest Washlet in master bath, double layered window treatments, and dual vanities in the bath. Two parking spaces are conveniently located on levels 2 and 6, not tandem stalls. Storage room included and located on level 2 by exit to Whole Foods Market. Resort-like amenities located on the buildings 7th-floor amenities deck and include a concierge, outdoor barbecue, dining cabanas, rooftop terrace, lap pool, fitness center, theater, childrens play area, guest suites, dog-run area, and more.